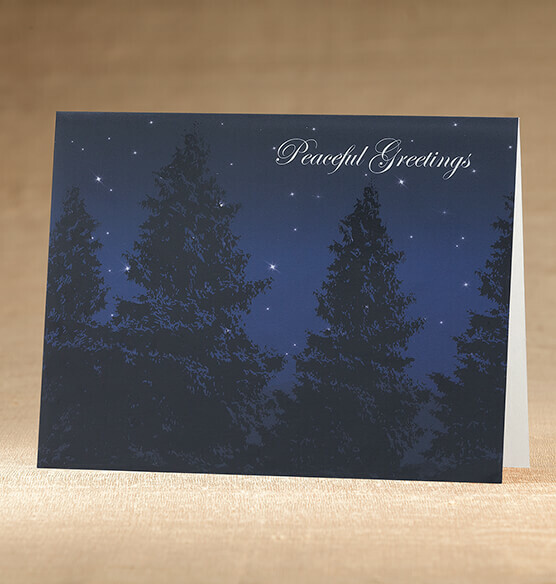 You can almost hear the stillness of the starry nighttime scene in this Peaceful Evening holiday card. The trees are embellished with an embossed vinyl look and feel, adding texture and dimension against the deep blue background. 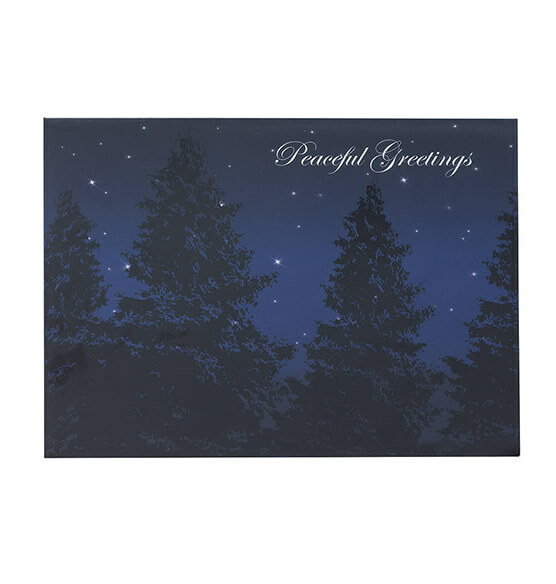 Our exclusive Christmas cards are the perfect way to stay in touch and share a special moment with family and friends during the holiday season.